Jasper Thomas Matthews was born in the town of Flippin in Marion County, Arkansas on April 19, 1885, the son of Dr. Marcus De Lafayette Matthews and Martha Jane Armstrong Matthews. He was the third child and only boy of six children. 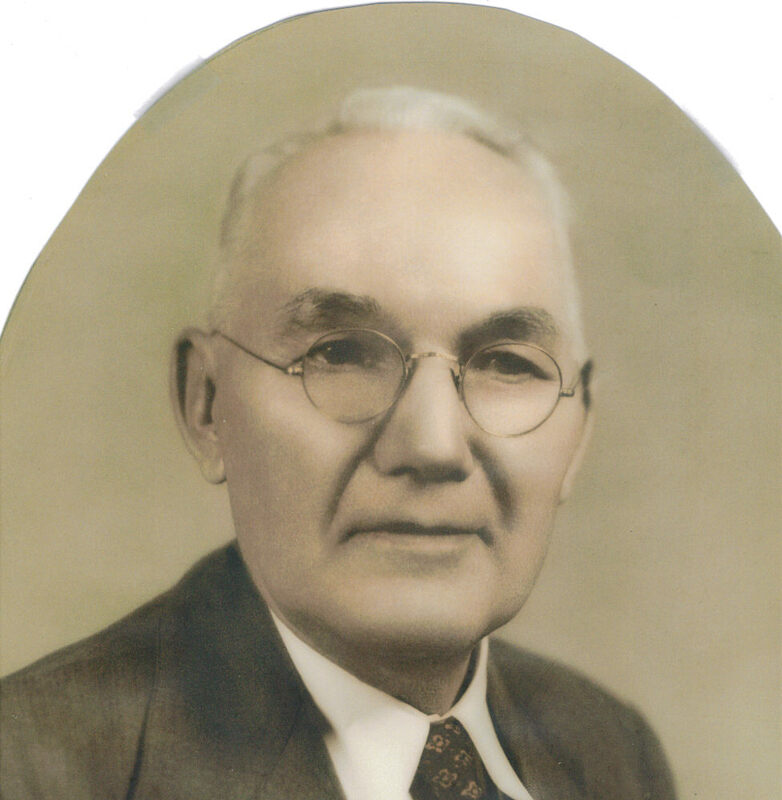 The elder Dr. Matthews settled in the town of Stone in Marion County where he practiced medicine in the late 19th century and early 20th century. Young J.T. Matthews, or “Tom” as he was known to family and friends, attended Hendrix Academy in Conway and then enrolled in the University of Arkansas Medical School, graduating in 1912. On July 10th of that year, he married Florence Estelle Hamilton, who graduated from Hendrix in 1910. During WWI, Dr. Matthews entered the U.S. Army Medical Corp and was stationed in Georgia, later in New York. During his duty in New York he would meet troop ships bringing wounded dough-boys back from Europe, then accompany them on long train rides across the United States providing medical care until each reached his destination. The house the couple lived in on West 10th Street in NYC still stands today. Their first child, J.T. Jr., was born in New York in 1919. J.T., Jr. later received his P.D in music from the University of Oklahoma. He taught at a number of colleges and universities and retired as a Professor for Tarrant County Community College in Ft. Worth, Texas. He married Gloria Couch and they had two children, Virginia, a homemaker, and Jay Thomas Eugene, a musician and teacher with Buffalo Philharmonic Orchestra, who now reside near Buffalo, New York. A second child, Mary Estelle, was born in Heber Springs, Arkansas February 17, 1926. She married John William Spivey, Jr. of Hamburg, Arkansas, whom she met at Hendrix College, on August 22, 1948, in Heber Springs, Arkansas. The couple had four sons and a daughter, John William Spivey III, a lawyer in Little Rock, Arkansas; Tom, a dentist in Paris, Arkansas; James, a physician, professor and medical director of the liver transplant program at Emory University in Atlanta, Georgia; David, an oral-maxillofacial surgeon in Murfreesboro, Tennessee and Susan, a retired teacher and counselor in Little Rock, Arkansas. When WWI ended, Dr. Matthews bought property (November, 1919) in Heber Springs, Arkansas (pop. 1675) where he began his three-decades of service to the people of Cleburne County. The first known record states that he “set up a small clinic of eight or ten rooms with his office in the original building at the southeast corner of Broadway and Main Street in the early 1920”. * The old building had been a theater, then a hotel. He developed a general family practice including some surgery performed in his clinic. He also traveled by car making house calls in the back country roads of Cleburne County on both sides of the Little Red River. There was no hospital in the small town and as Dr. Matthews’ practice grew he felt a need for a larger facility for patients where more involved surgery could be performed. The 1930 census listed 18 physicians in Sugarloaf Township which included Heber Springs. ** He surely considered this when he bought three lots on Main Street and built the city’s first hospital in the 1930s, naming it Estelle Hospital in honor of his wife and daughter. In 1946 he sold it to Dr. Claude Barnett. The hospital was operated until 1951. Two of Dr. Barnett’s brothers, local pharmacists Jack and Odie Barnett, were good friends of Dr. Mathews. He probably discussed with them the incoming antibiotics so new to the medical world in the 1930s and 40s: sulfa drugs and penicillin. He also stopped by the drug store to swap tales with a gathering of local men. Stories of horses and dogs and the enjoyed hunts were part of the drugstore lore. Dr. Matthews owned the elongated lot behind his hospital, where he had a barn to keep his horses and some dogs he used on hunting trips. Dr. Matthews owned multiple tracts of land in the Little Red River Area. He was a member of the local Christian church but attended the Methodist Church with his wife and children, and was a highly respected citizen in Heber Springs and throughout Cleburne County. After Dr. Matthews sold the hospital, he built a small clinic on a lot he owned next to it and continued his medical practice almost until he died 5 years later—a life practice of almost 39 years. It was said that he was ever dedicated and sincere in his work. His primary interest was always his patients either in his office or in their homes scattered about Cleburne County. He died February 4, 1951 at the age of nearly 66 and is buried in the City Cemetery in Heber Springs, Arkansas. ***Contributed by Charles Stuart of Cleburne County Historical Society.